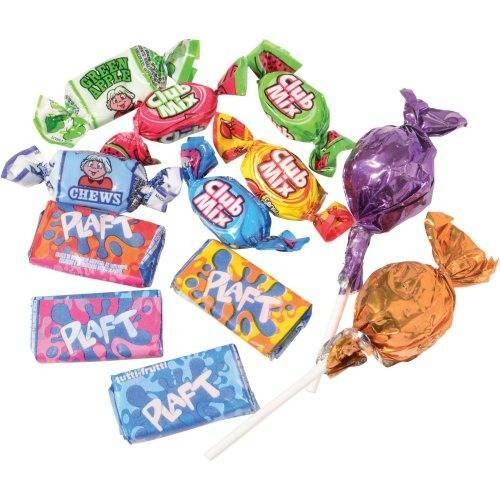 Includes chewy candy, hard candy, lollipops with bubble gum centers, and bubble gum. 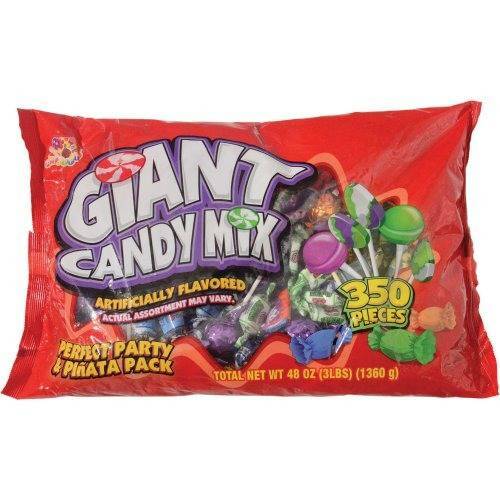 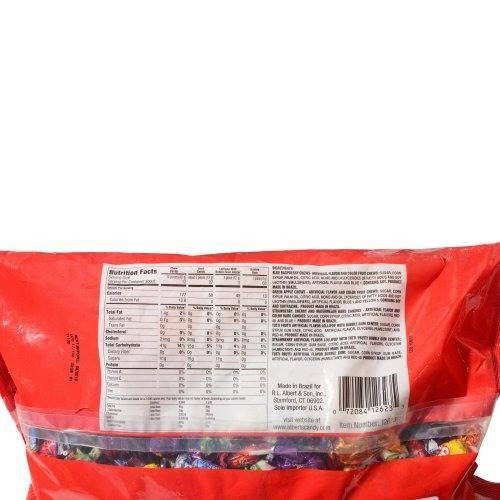 This giant candy mix is great for pinantas, parties and carnivals. 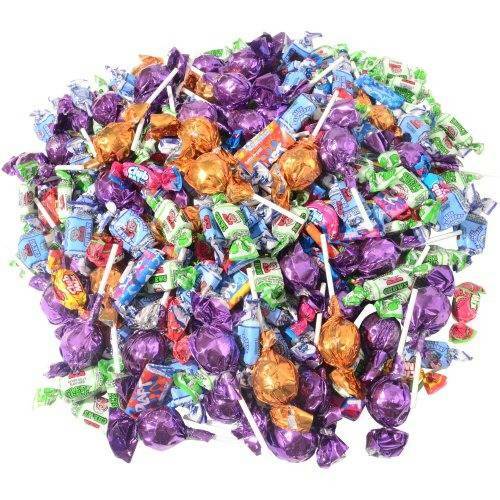 Features a little something for everyone with chewy candy, hard candy, lolliops with bubble gum centers and bubble gum.